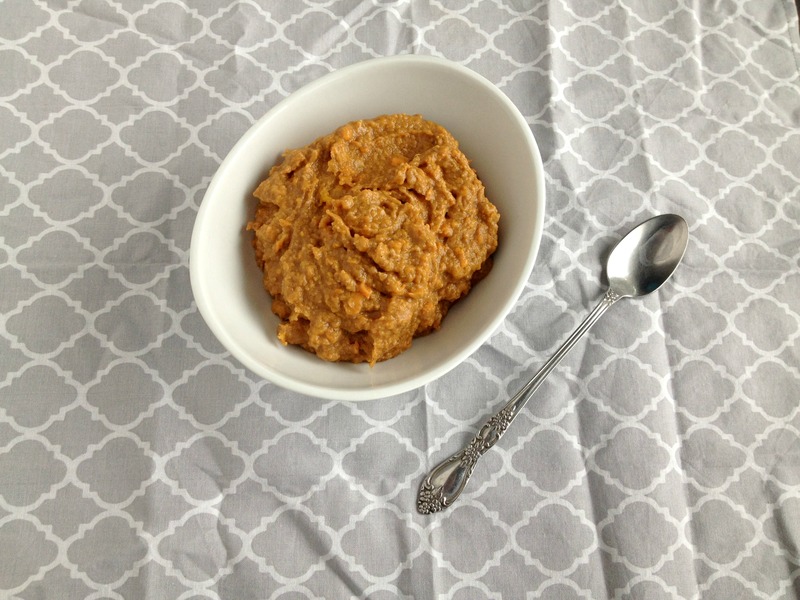 One of my most favorite and easy dinners is just baking a sweet potato in the microwave then sprinkling cinnamon over it and layering on the peanut butter. So. Good. 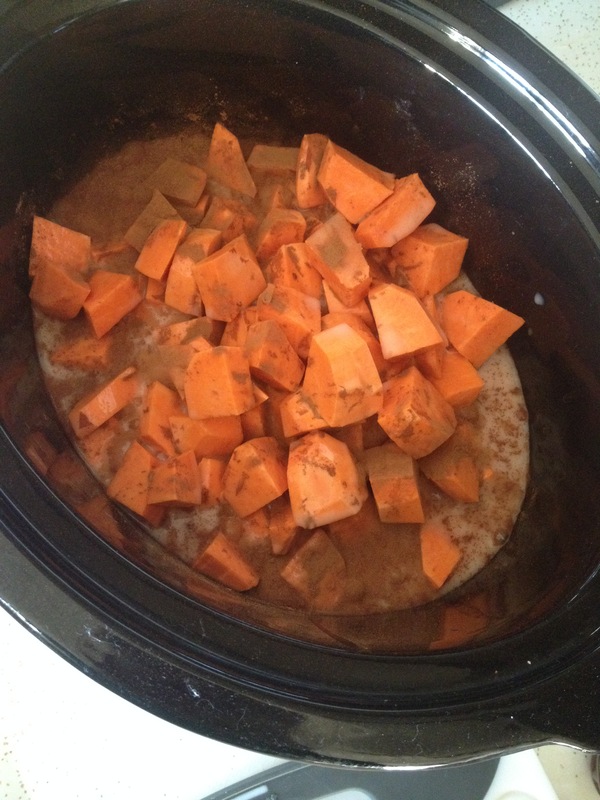 Sweet potatoes are so nutritious and naturally sweet that I don’t even add anything else to it! 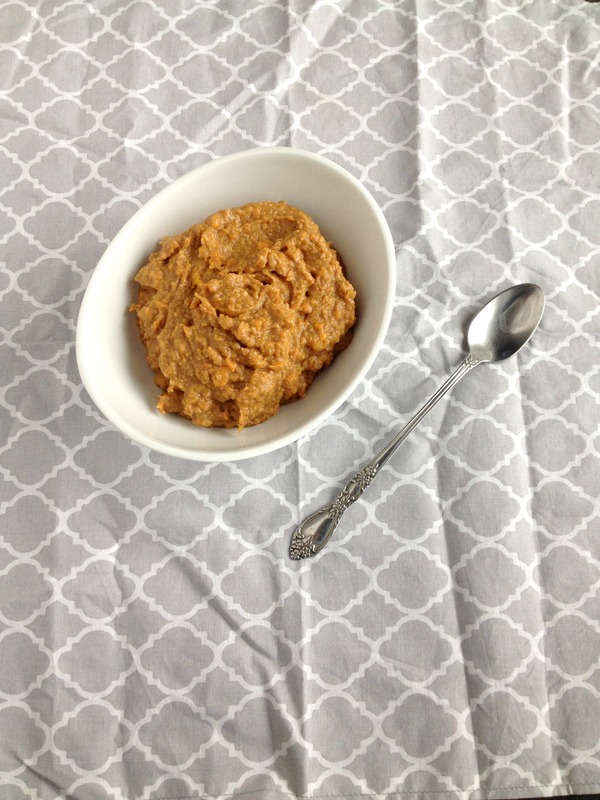 I just love the peanut butter and cinnamon, which sweet potatoes love too! So I figured it would make an awesome soup that has a little sweetness to it but is all about the sweet potato. 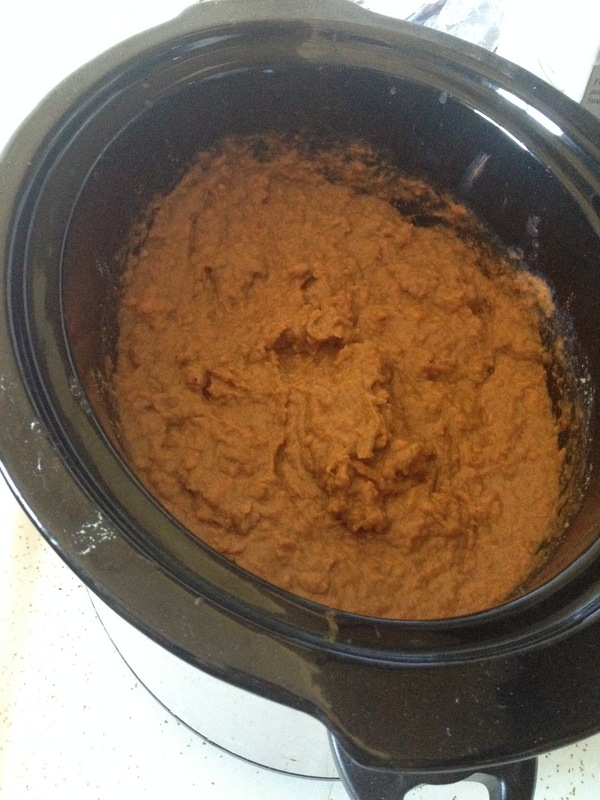 So here is my vegan, gluten-free, and sugar-free Slow Cooker Sweet Potato Soup. Now I have seen sweet potato, pumpkin, and butternut squash soups online and on Pinterest – and they always make me wrinkle my nose. Even though I have made some chilis with them, a soup of just that doesn’t do anything for me. I don’t know why, but the thought of pureeing any of them into a soup alone just does nothing for me. Usually because they make the sweet potato and pumpkin savory and butternut sweet. No thanks. So instead, since I love peanut butter and sweet potatoes, and I haven’t indulged in a long time on them, I thought I would do my own twist on the soup. 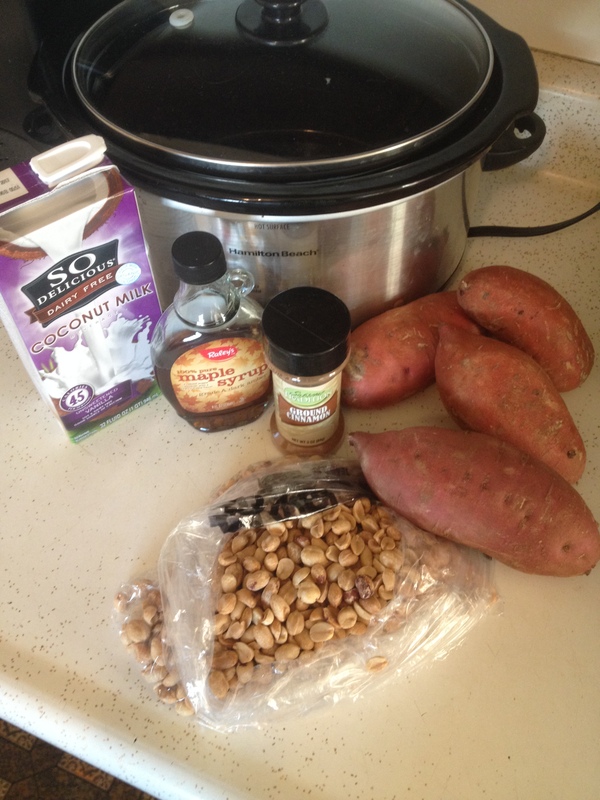 It was done in the crockpot which I love, and has only a few ingredients and is all healthy! 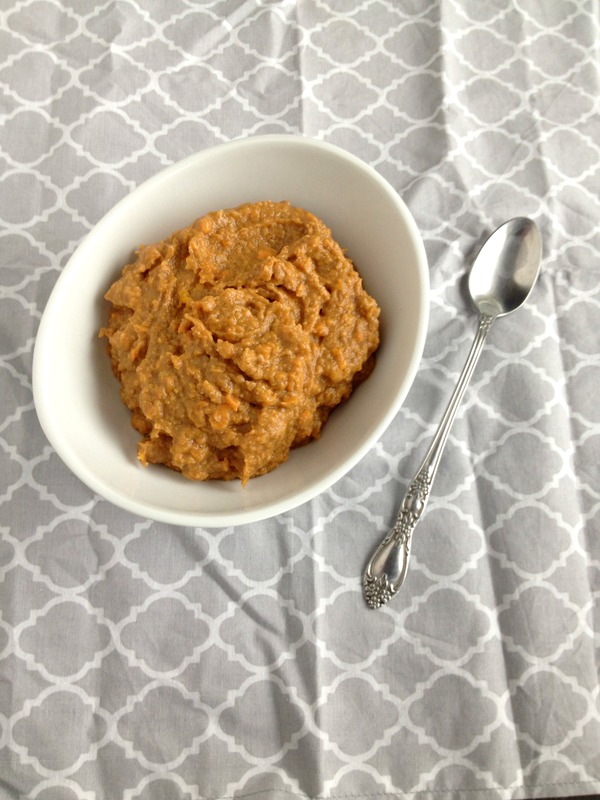 Pureed sweet potatoes may be my new favorite thing – and I have some recipes in mind that I can make savory and love it. So that probably means not wrinkling my nose at soups anymore. As for the sweetness – not a lot of that going on here. Minimal maple syrup, and some homemade ground peanuts into butter – heavenly. Some cinnamon and unsweetened vanilla coconut milk? It tastes like sweet potato pie! It’s awesome! This would be the perfect addition to any holiday feast! 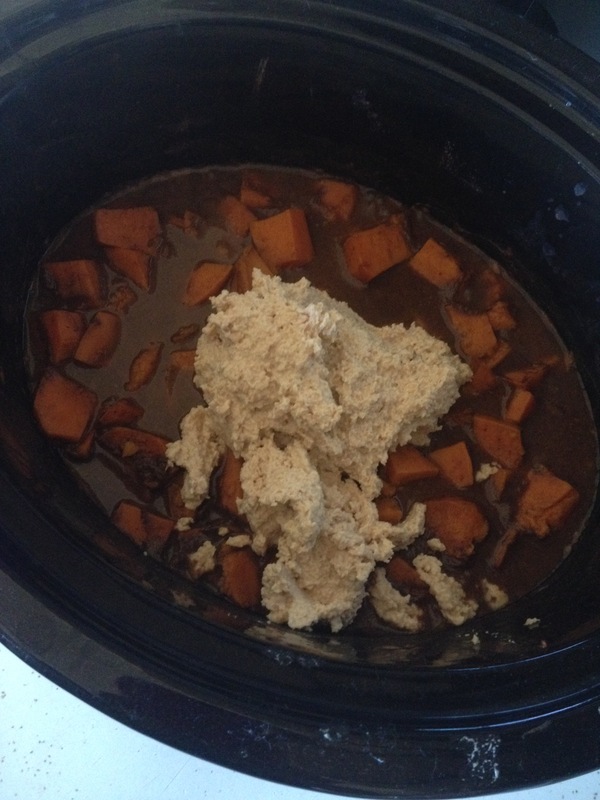 Start by turning your crockpot to Hi then wash and peel the sweet potatoes. Chop the potatoes into small chunks and dump into the heating crockpot then pour in all the milk, cinnamon, and maple syrup and stir. Put the lid on and let go about 3 1/2 hours, stirring a few times during that time. Once chunks are done to the point of being mashable, grind your peanuts with some liquid from the pot into a buttery consistency then dump in the pot. 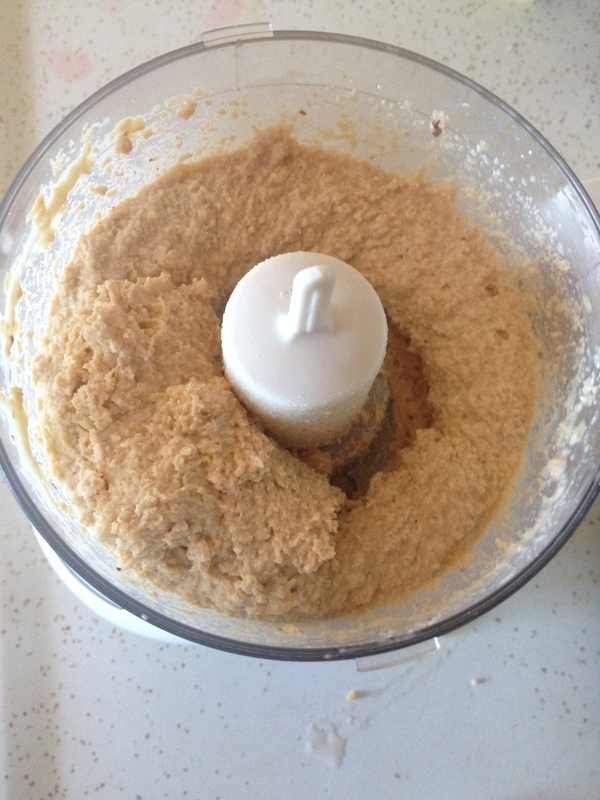 I used a potato masher – if you have handheld blender you can use that, but make sure the potatoes are over done and be careful since it’s really hot. Mash or blend until everything is creamy – yes it’s thick and delicious. Simple and easy as that! Enjoy! 1. Turn crockpot to high. 2. Peel sweet potatoes and chop into small chunks then dump into heating pot. 3. Dump in cinnamon, maple syrup, and milk and put lid on. 4. 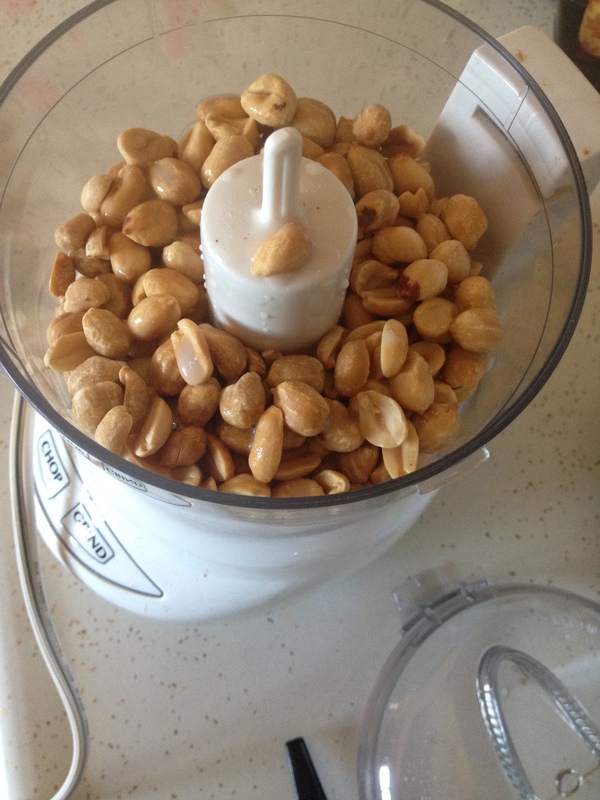 Let heat 3 1/2 hours then grind peanuts in small food processor with two tablespoons of the liquid in the crockpot until peanuts are buttery. 5. 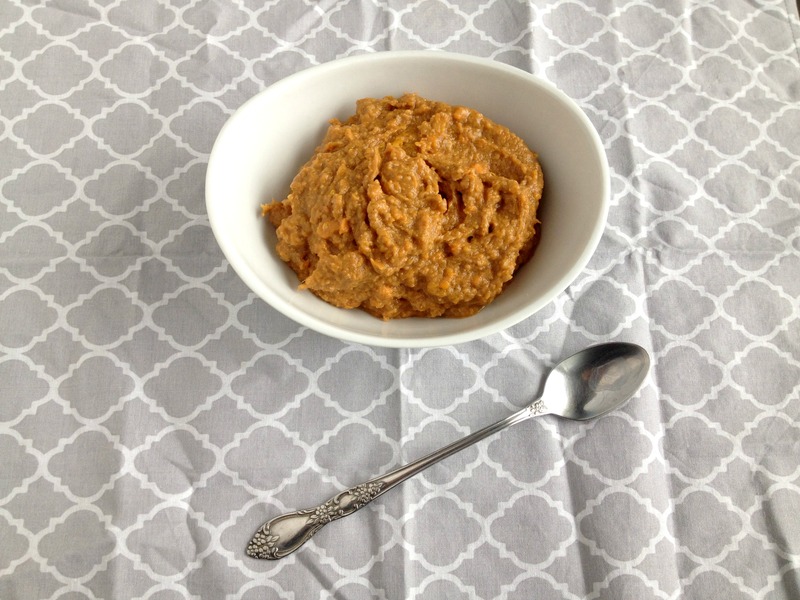 Dump peanut butter into the pot and mash with potato masher.